A gift from the coporate art collection of telecommunications giant AT&T is now being installed at one of Buffalo’s most prominent intersections. 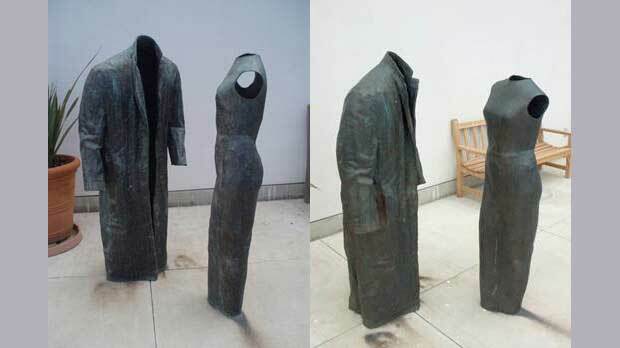 Judith Shea’s 1987 bronze sculpture, Eden, features two figures without heads, arms, or legs, displaying instead a trenchcoat and a sleveless dress. A joint effort between the City of Buffalo, the Albright-Knox Art Gallery and AT&T, the sculpture will be officially unveiled tomorrow with Judith Shea present at the intersection of Elmwood Avenue, Potomac Avenue, and Bidwell Parkway.